Here's the perfect birthday bouquet, created with beautiful Peruvian lilies, santini chrysanthemums, spray carnations, accented with gyposophila. Each bouquet is lovingly hand-tied by our expert florists and beautifully gift wrapped to give the ultimate wow factor. 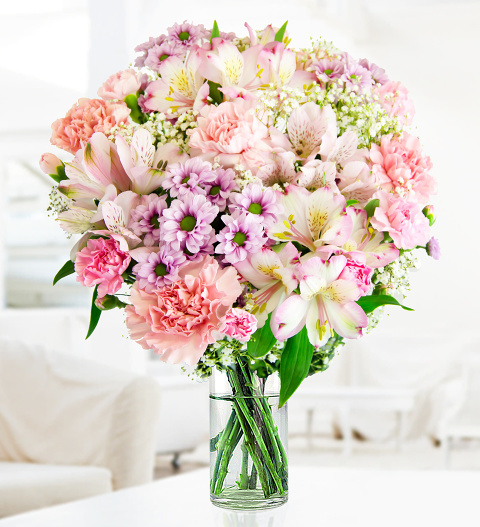 This long-lasting arrangement ensures that your recipient can enjoy the bouquet long after their special day. Chocolates may contain nuts.